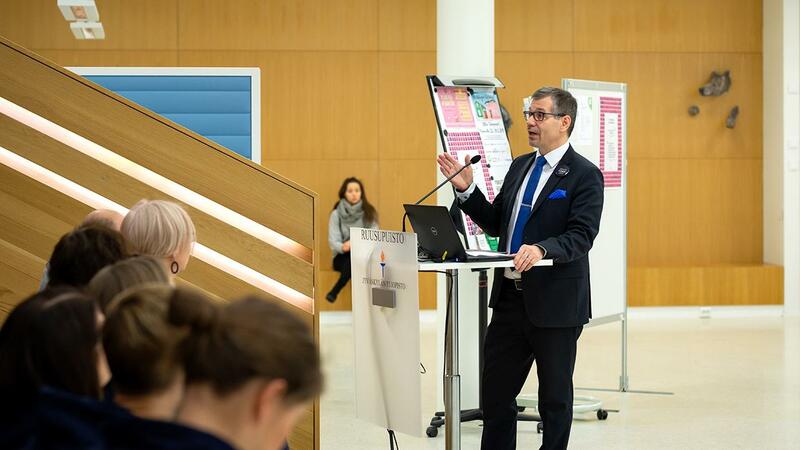 “Communication is an essential part of a researcher’s job,” Rector Keijo Hämäläinen said in his opening speech at the Science Communication Carnival day on 30 January. He said that communication is an immensely important tool in carrying out the educational task of universities. The Rector walks like he talks: he is a physicist who started his career as a PR assistant in his department and nowadays participates actively in social debates on Twitter, among other channels. One of the speakers at the opening was Maria Ruuska from Kaskas Media, who wondered whether we should talk about “communication” anymore, and instead about “interaction”. The opening speeches led to a lively discussion. Senior Lecturer Panu Halme pointed out in his comment that while nobody is putting teaching and research in question, the third task of a university – interaction with society – is still just a voluntary activity. Rewards for communication were jointly considered, but as yet no “philosopher’s stone” was found for this issue. The day’s workshops involved training in pitching, popularised writing, and designing a communication plan. In the communication plan workshop, Ruuska emphasised how important it is to set realistic goals for communication. She emphasised that successful science communication is about more than visibility in mainstream media and that such visibility does not automatically mean the communicative goal has been achieved. 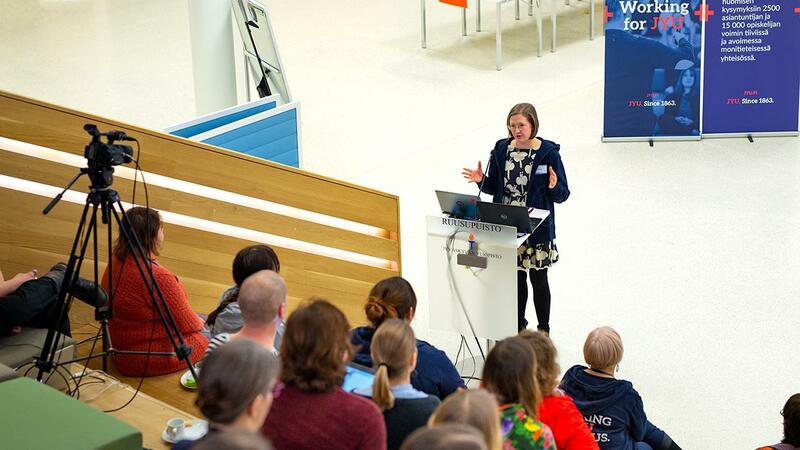 The University’s Science Communication Day was organised for the first time as a joint effort between University Communications and Kaskas Media, the only communications agency in the Nordic countries that is specialised in science communication. Photo: Reetta Rönkä interviews Juha Hulmi about successful blogging.